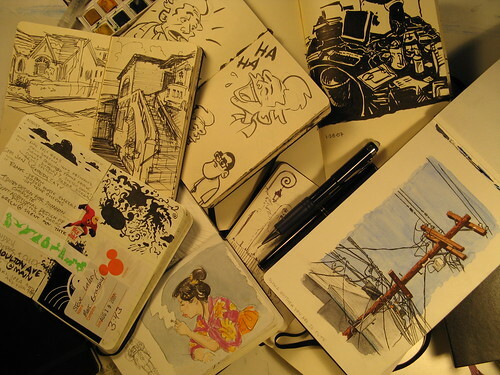 Okay, I think I am officially a Moleskine Addict. Hey, there are worse addictions a person could have! 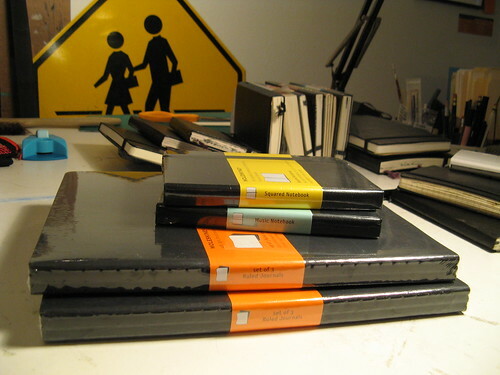 These little babies are perhaps a little pricier than the average sketchbook or journal, considering their size, but what I get out of them in terms of creative and intellectual activity and motivation is easily worth the dollar value that’s put in. 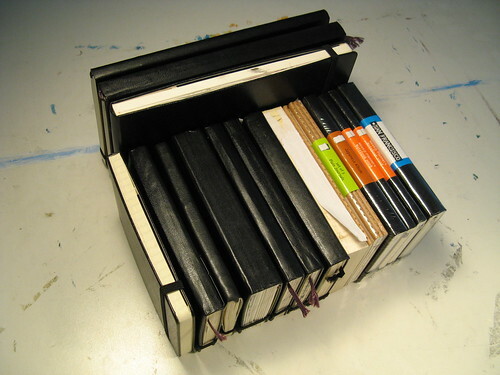 Also consider that the “average” sketchbook or journal is usually junk and way more overpriced in relation to its quality than these Moleskines. Some of these purchases are gifts, but isn’t it also a trait of addicts that they look for others to share their addictions with? Those who know me and are closest to me, beware! I may try to make you “one of us.” Like a brain-feeding zombie. To my fellow addicts, you will probably have Pavlovian responses to these photos. If you do get the itch, please don’t scratch too hard! Please be a responsible Moleskiner and have a great weekend, everyone.